Following many years of intense political debate on data protection in the European Union, the General Data Protection Regulation (GDPR) will finally become law across the EU in May 2018 and is designed to be the cornerstone of data protection in Europe. It sets out directly applicable rules on the rights of data subjects, the duties of those organisations that demand the processing of personal data and those that do the processing (data controllers and processors), international data transfers and the powers of supervisory authorities. An Expert Q&A with the European Data Protection Supervisor, Giovanni Buttarelli, by Thomson Reuters. 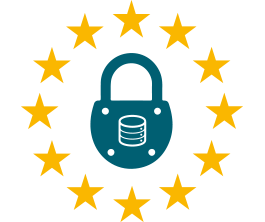 2018 was a busy year for the EDPS and a pivotal year for data protection in general. Under new data protection rules, the rights of every individual living in the EU are now better protected than ever. Public awareness about the value of online privacy is at an all-time high. The 2018 Annual Report provides an insight into all EDPS activities in 2018. Chief among these were our efforts to prepare for the new legislation. The General Data Protection Regulation (GDPR) became fully applicable across the EU on 25 May 2018 and new data protection rules for the EU institutions are also now in place. Working with the new European Data Protection Board (EDPB), the EDPS aims to ensure consistent protection of individuals’ rights, wherever they live in the EU. EDPS Podcast 'Being a Data Protection Officer in the public sector: the EU side of things' by Ute Kallenberger. Coversation with Barbara Eggl, Data Protection Officer at the European Central Bank (ECB). Letter addressed to the EUROPOL's Data Protection Officer referring to the consultation of 5 July 2018 concerning European law enforcement authorities’ (‘LEA’) access to personal data contained in the WHOIS database. Speech by Giovanni Buttarelli at Austrian Commission of Jurists, Wien, Austria. Just two days from now, the General Data Protection Regulation (GDPR) will become fully applicable to all companies and organisations operating within the EU. Speech by Giovanni Buttarelli at Fifth World Congress for Freedom of Scientific research on GDPR in scientific research. Two months before the new data protection rules set out in the General Data Protection Regulation (GDPR) become applicable, the European Data Protection Supervisor (EDPS) has published two new sets of Guidelines. The Guidelines provide advice to the EU institutions on how to adapt to this new chapter in EU data protection, which is notable for the emphasis it places on the principle of accountability. Guidelines on the protection of personal data in IT governance and IT management of EU institutions. 2018 will be a landmark year for data protection. As co-host of the 2018 International Conference of Data Protection and Privacy Commissioners (ICDPPC) and a key player in the reform and implementation of the new EU data protection framework, the EDPS will remain at the forefront of the global dialogue on data protection and privacy in the digital age, the European Data Protection Supervisor (EDPS) said today, as he presented his 2017 Annual Report to the European Parliament’s Committee on Civil Liberties, Justice and Home Affairs (LIBE). The GDPR is an outstanding achievement for the EU, its legislators and stakeholders, but the EU's work to ensure that data protection goes digital is far from finished. The majority of the world population now has access to the internet, while tech giants now represent the six highest valued companies in the world. With this in mind, in 2017 the EDPS issued advice to the legislator on the new ePrivacy Regulation, as well as pursuing his own initiatives relating to the Digital Clearinghouse and Digital Ethics, the latter of which will be the main topic of discussion at the 2018 International Conference of Data Protection and Privacy Commissioners, co-hosted by the EDPS. Finalising and implementing a revised version of the current legislation governing data protection in the EU institutions and bodies as soon as possible is also a priority, if the EU is to remain a credible and effective leader in the protection of individuals' rights. The EDPS intends to exercise the powers granted to him in the revised Regulation efficiently and responsibly, in order to ensure that the EU's institutions and bodies set an example for the rest of the EU to follow. For this reason, the EDPS has invested a lot of effort in preparing the EU institutions for the new rules and will continue to do so throughout 2018. In 2017, the EDPS also contributed to ongoing discussions on the Privacy Shield and on the free flow of data in trade agreements, which will remain on the EU and EDPS agenda throughout 2018. With the fight against terrorism still a pressing concern for the EU, the EDPS continues to advocate the need to find a balance between security and privacy in the processing of personal data by law enforcement authorities. As the new data protection supervisor for Europol, the EU’s police authority, he is determined to ensure that the EU sets an example in achieving this balance. The EDPS-Civil society summit is an annual meeting between EDPS and civil society organisations organized to discuss the state of data protection and privacy in the EU. monitoring of illegal content online: notice and action procedures. The summit is a part of the Privacy Camp 2018. On 30 November 2017, the EDPS Supervision & Enforcement Unit has provided a training on the new Regulation to managers/heads of Units/sectors at the EUSA, in Brussels. Please note: Internet Explorer may not work correctly, we recommend using a different web browser.